Super happy to announce that Wednesday 9/20 marks the release of a feature complete MVP. For those who have been with us since the beginning thank you. Thank you for supporting us, and thank you for being a part of this journey thus far. The 1.0 update integrates a number of core features that make it easier than ever to create, compose, and send newsletters. For ease of use, we’ve implemented Google login and sign up, so no need to remember passwords or create new accounts specific to Ludlow. 2. We now also integrate with Mailchimp. You can now select your newsletter list, enter your newsletter subject, and state who the email is from and Ludlow will automatically send newsletters for you. This means no more copying HTML for those users who are on Mailchimp. 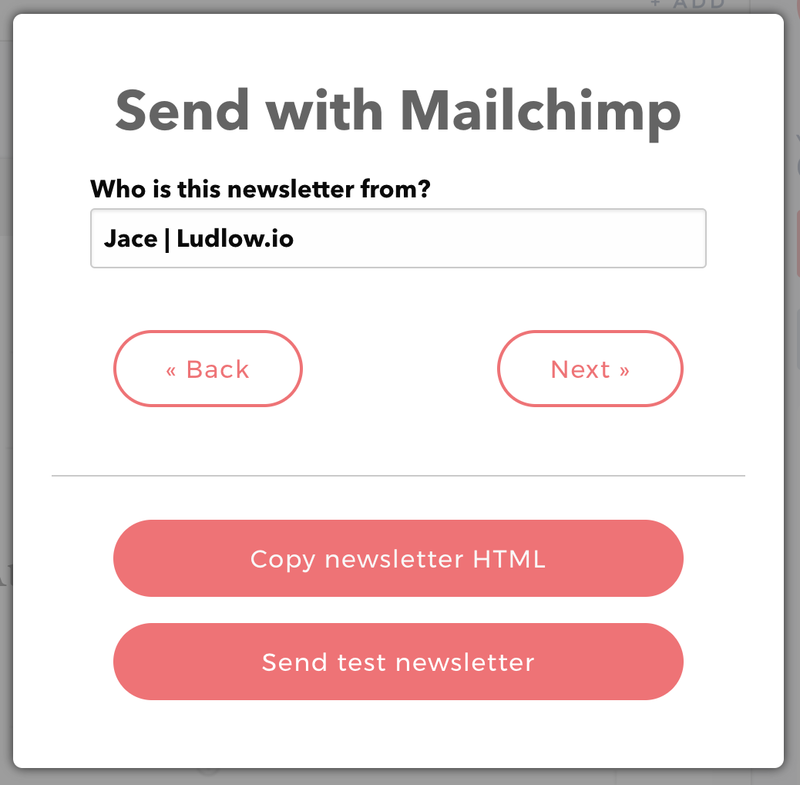 Mailchimp users now also have the ability to send themselves test newsletters from Ludlow. 3. For those who use Constant Contact, or any other newsletter service we still have the copy HTML feature, but it’s now accessible from the send menu. 4. All your newsletters were saved in Ludlow, but to access them you needed to remember each newsletter’s specific URL. No more, now you can go back to your old newsletters, edit them, send them, or delete them. 5. We’ve also fixed a lot, and I mean A LOT of usability and user experience issues with the product. We’ve added sections to, and moved everything else into the newsletter editor. This means more freedom on how you style your newsletters. 6. We made some under the hood optimizations for the next — longer — product sprint that will focus on improving Ludlow’s AI. So what’s next for the product? You can always see what we’re working on at our Product Trello Board, but the focus for the near future will be on the machine learning component of the platform. This will require some heavy lifting (engineering-ly speaking) on our end, as there’s a lot of data to work through in terms of what to optimize, how to optimize it, and for what specific use cases. 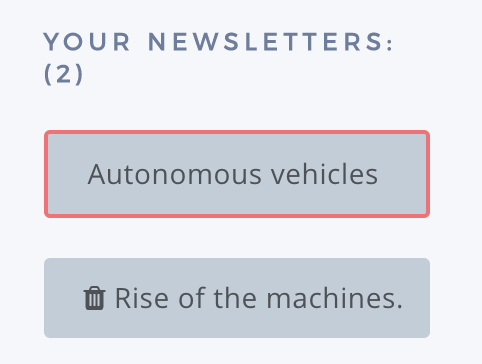 Nonetheless it’s exciting times, and if you’re interested in growth, machine learning, and marketing, sign up to our Ludlow newsletter.